Speakeasy School of English is a small family-run language school located in Chiswick, a lovely part of West London near the river Thames. We opened in 2002 and since then have taught English to over a thousand foreign students from all over the world. As a small school we pride ourselves in providing individual attention and support to students. Our reception door is always open, allowing you to come and speak to us about anything you need during your stay in the UK! We specialise in teaching with the Callan Method, a unique, dynamic and fun way to learn English. We are accredited by the British Council and the Callan Method Organisation (CMO). We are open all day Monday to Friday, allowing you to study in the morning, in the afternoon, or even after work in the evening. Whether you need help with your pronunciation, or you need to pass a particular exam, come and try our classes and you won’t be disappointed. Our website gives up-to-date information on the courses available at Speakeasy School of English, and on the other services we offer to students. If you want to ask us a question, please email, call or pop in to see us and we will be happy to help. The Callan Method wastes no time. You use only English in the lesson and enjoy constant support from your teacher. You get plenty of revision and are constantly listening and speaking which gives you the confidence to learn English quickly and efficiently. Our maximum class size is 14. Our average class size is 7 to ensure maximum learning time for the student. We are always ready to help you with your stay in the UK. This includes: airport transfers, booking accommodation, as well as suggesting your after-school social activities. Students can enrol and start an English course on any day of the week. After a level test, they will be placed in the appropriate class. Our course prices are very competitive and we offer special discounts at certain times of the year. Email us for details. Before enrolling, we suggest you try one of our classes for free, so you can see the Callan Method in action. 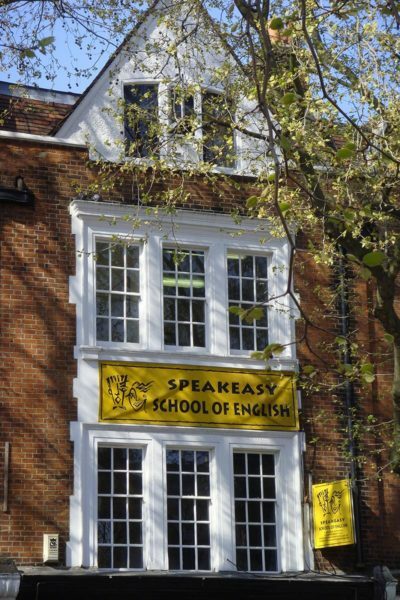 Speakeasy School of English opened its doors to foreign students in September 2002. Since then we have taught English to thousands of foreign speakers from all over the world. Our aim is and has always been to provide effective and good quality English courses at affordable prices in a warm and friendly environment and to help the students improve their language abilities for academic purposes, career advancement and everyday social and practical purposes. Constantly improving our programme to develop a language school to the benefit of its students and members of staff. Our classes run all through the day from 09.30 until 21.30. Before starting your course, you can come and try our Callan Method classes for free. This gives you the opportunity to experience the method, speak to fellow students and meet the teachers. If you like the lessons, we will give you an English level test and then you are ready to start. 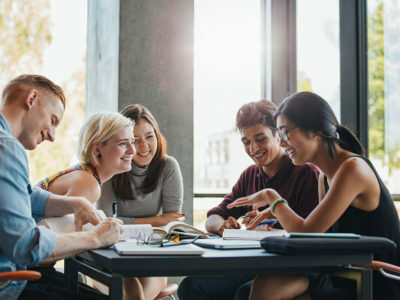 In order to ensure that Speakeasy School of English operates safely and efficiently, we follow certain policies and procedures, which can provide you with important information about the school’s management and expectations. All our policies and procedures can be found in Student Handbook.